Welcome to the IPS blog. This is the place you'll find the latest news from the UK's leading Co-Packing provider. IPS, the UK's market leading co-packing business has announced an agreement to take over FoodPack Limited as from Monday 3rd December 2018. The terms of the agreement, including consideration, have not been disclosed. IPS is already the market leader in co-packing and by acquiring FoodPack its expanded business is significantly extending the company's overall service offering. FoodPack operates from an 80,000 sq. ft. facility and 9 acre site in St Helens Lancashire and employs over 150 staff. Turnover in 2018 is over £14 million. "We are serious about building the best and largest co-packing / co-manufacturing business in the UK," said IPS Chief Executive Officer Andrew Dawson. "Significant investment across the IPS network throughout 2018 and the purchase and extension to our Featherstone site has meant that we have been moving increasingly into the co-packing & co-manufacturing markets. As a consequence we approached FoodPack earlier this year. It didn't take very long for both businesses to see that this was a great fit." "IPS are committed to growth and this acquisition presents a natural step on our journey. We have been aware of FoodPack and their success over the past three years. The business has a great reputation, an excellent location and massive scope for further growth." "FoodPack has established good relationships with retailers and manufacturers however, IPS can help broaden FoodPack reach very quickly," said Steve Smith FoodPack's Managing Director. 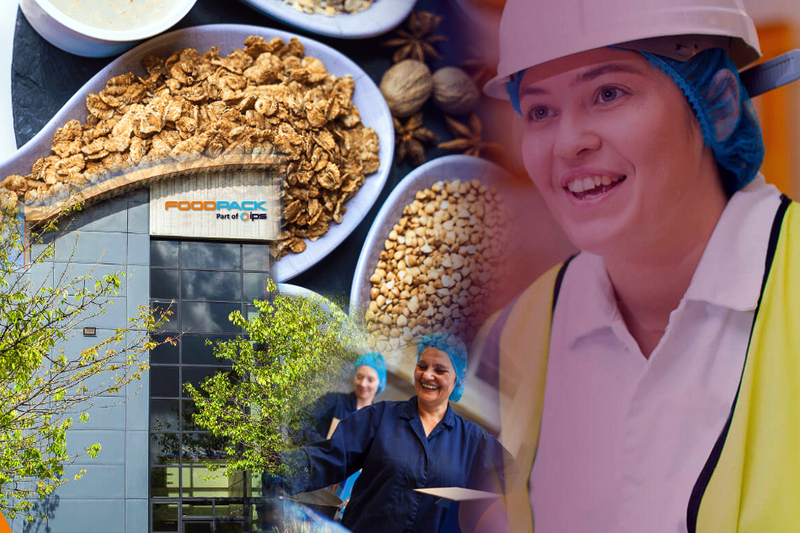 "By coupling our co-manufacturing know how with the experience of IPS and of course a commitment to investment, FoodPack can now look forward to steady, sustainable growth whilst concentrating on what we do best."